Due to holidays, from April 19th to April 22nd we will not ship packages. Technical support and email answers will be slower. 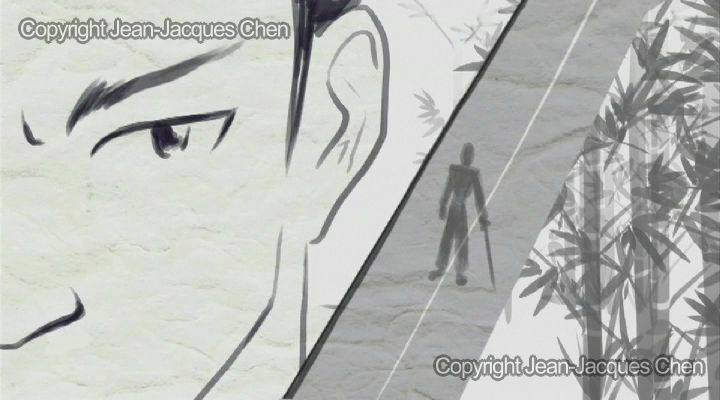 My name is Jean-Jacques Chen. I'm a young 27 year old french-taiwanese director, and I live in Belgium since almost my birth. I was recently graduated from the Visual Arts National University of La Cambre in Brussels, in the Animated Movies option. 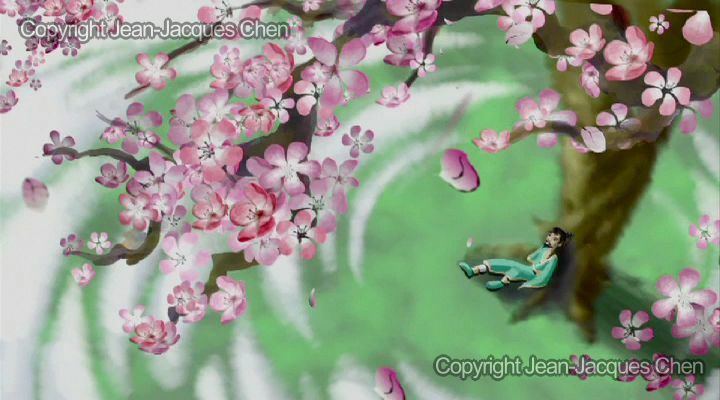 My main purpose is to create an animated series (or at least a feature film) which could marry the dynamic directing of the latest japanese animes with the aestheticism and philosophy of the traditional chinese paintings. TVPaint: Can you introduce yourself? JJC: So, briefly : My parents are Chinese-Taiwanese, and I'm born in France. Then one year later we moved to Belgium, and since then, we haven't moved anymore. It's kind of a long story. For my interest for drawing, well as far as I can remember I always liked to draw. My parents (especially my dad) didn't liked that yet, because they were afraid that I would eventually end up making it as my business, and then die of hunger, the mouth wide open in the end of the street ( some urban legends got a hard skin ! ). Of course, their greatest fear became true because I'm now freshly graduated in drawing small Mickeys ! I only have to become a beggar, and my parents could then turn themselves into fortune tellers. TVPaint: How big is your company? JJC: Something like 1,76 meter and 67 kilos... But I hope it would gain some weight soon. TVPaint: What is your title at AMK Prod ( Apprentice Monkey King )? TVPaint: How did you get started in computer graphics? JJC: Since my ex-school started itself to use computers, something like 5 years ago. Before that, we were still struggling with our good old 16mm footages, with some very old and big cameras. So I tasted for 2 years the flavor of the footages, and I have to admit that I kind of enjoy it ; because now that I work on computers, I really understand how luxurious it is, and how much time it saves ; although I regret the loss of this technician-artisan-high illusionist side... to the benefit of the geek side which sleeps within us ! TVPaint: How long have you been creating art with computers? JJC: I started for the very first time 8 years ago, but actually, it's been 4 years now (when I bought my good old Mac Powerbook G4) that I really got into it, especially for my movies. TVPaint: How long have you been working with CGI? JJC: Since 4 years thus, and even more intensively since I bought a graphic tablet Wacom Intuos 2 3 years ago, which never left me since. 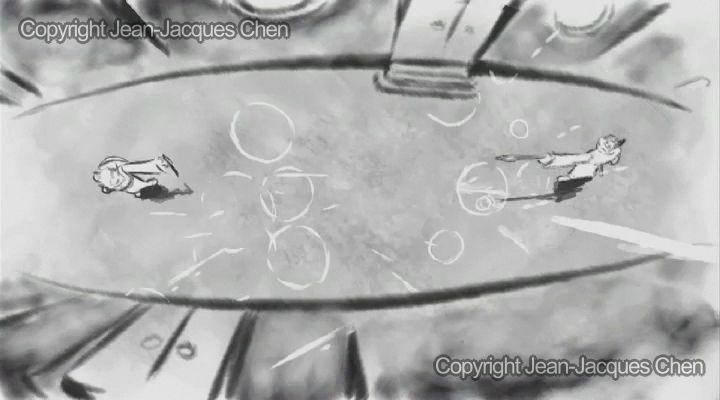 TVPaint: Have you created any animated shorts before? JJC: In La Cambre, the deal was that each student has to make an individual short film every year, which wasn't without stress. 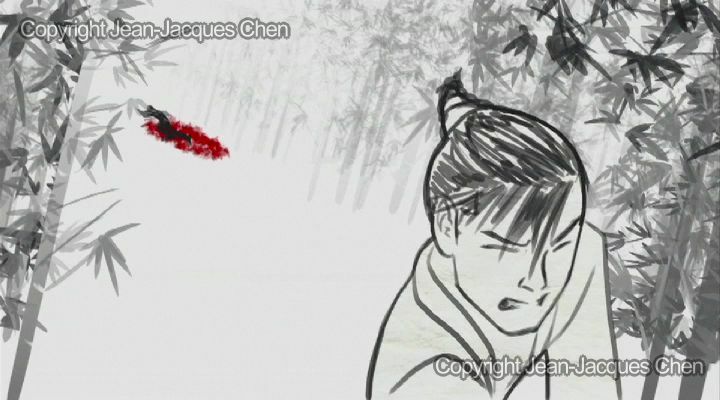 Since I was in there for 7 years, I've made 7 short films, among them The Wedding Dress, another chinese tale I directed 4 years ago, which was selected at the Brussels animation festival Anima 2005. TVPaint: How did you learn 2D graphics? JJC: It was also in La Cambre ; although it was much more self-teaching. I had then learned the basics of Photoshop and Illustrator, and since I wasn't really interested then by the vectorial drawings, I focused on Photoshop. It was at the same time I learned to juggle with After Effects, and therefore learn to make the compositing of my movies. TVPaint: What sort of graphics do you use TVPaint Animation to create? JJC: I really discovered TVPaint only one year ago, so I didn't really had the time to explore it widely because I was fully working on my last student film. 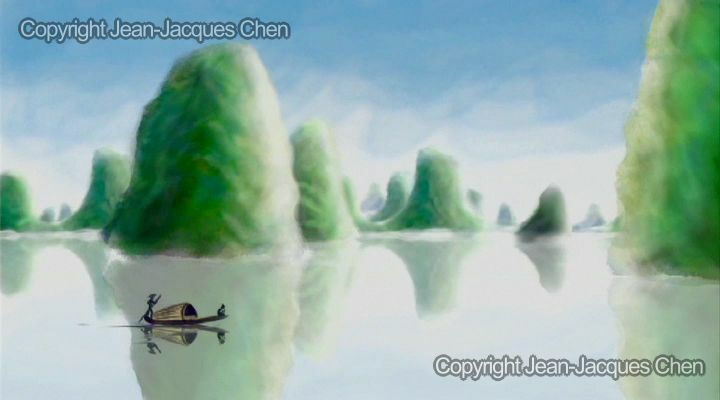 This one speaking of chinese painting, I went in that direction to learn TVPaint. TVPaint: What was the most challenging project you have worked on? 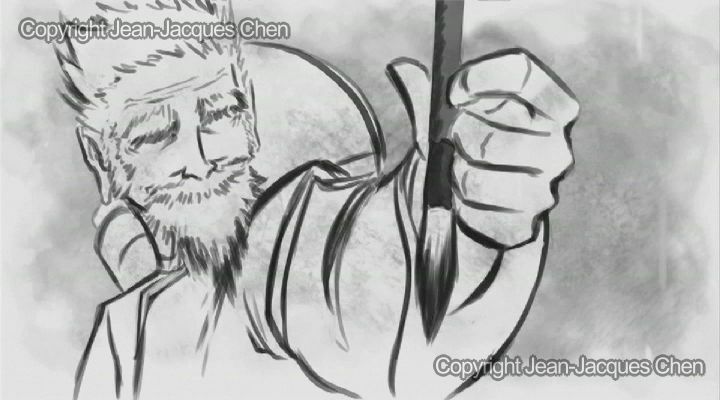 JJC: My last student film : The Sword And The Brush. It took me a little more than 2 years to make it. TVPaint: Do you have any artists or film that really influence your work? JJC: There's too many of them to all put them here. 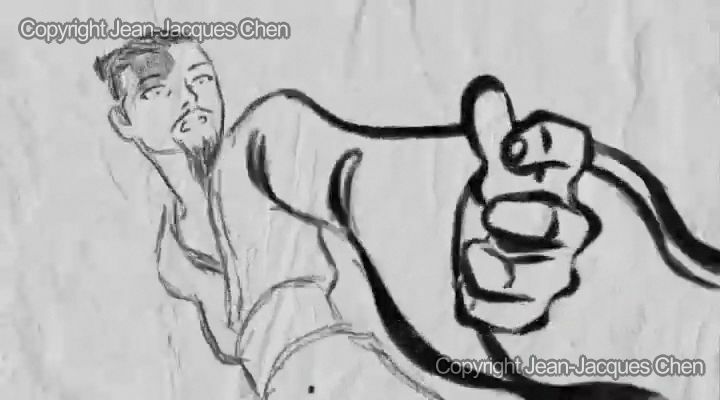 In animation : The first one would definitely be Impression of Mountains and Water, from the Chinese master Te Wei. 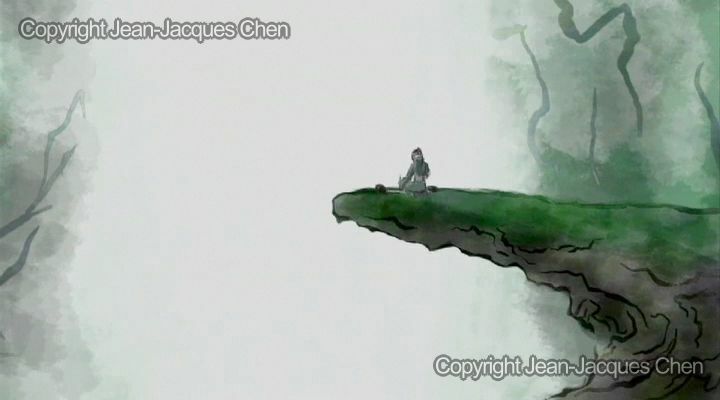 Made during the beginning of the 80ie's in the Shanghaï studio, this movie visually represents the ultimate reference of what I want to do (see above). In graphic novels and comics : The genious Osamu Tezuka (overall Phoenix, Buddha, and the Three Adolph). I also appreciate the sensibility and humor of Lewis Trondheim, Boulet, and Manu Larcenet, whose are today's famous french authors. And in litterature : Patrick Suskind (The Perfume), Daniel Pennac (the Malaussène series, Like A Novel), Gu Long (The 4 Bandits of HuaBei, Li's Flying Dagger...), and of course, most of all, The Journey To The West : the tale of Sun Wu Kong the Monkey King, whom is my very favorite fictionnal character. TVPaint: How long have you been using TVPaint Animation? TVPaint: What are some projects you've worked on with TVPaint Animation? 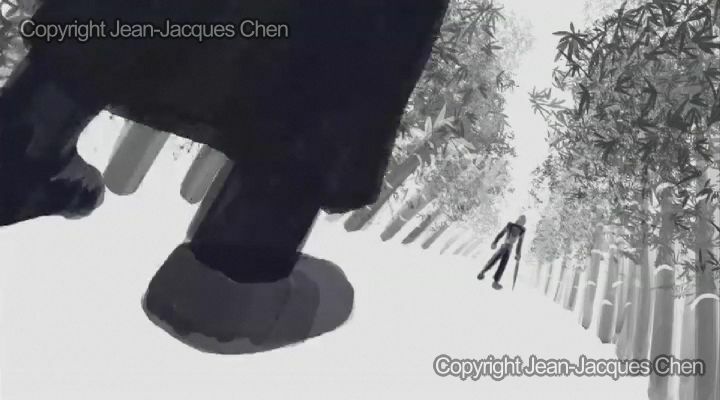 JJC: The Sword and the Brush, and lately the music clip of Clover's Cloe : If I Was A Thief. TVPaint: What do you feel are some of the best features in TVPaint Animation? TVPaint: What are some of the main reasons you use TVPaint Animation? JJC: For all the reasons I told before. I'm convinced that in a very close future, TVPaint will eventually become THE incontrovertible software for all the animators, amateurs or professionals... And I don't think that I'm the only one who thinks like that. TVPaint: How has TVPaint Animation improved your work? JJC: It considerably fastened the whole process of making a film by simplifying almost all the steps of the production, compared to my former method. And when the tedious part of the work vanished, it let you much more time to the joy, the curiosity, and the will to create, to explore all the possibilities you're offered to. Among others for example, the autopaint effect was providential for my last film. TVPaint: Did the advancements in TVPaint Animation make it easier to complete the shots and achieve better quality than you could have in the past? JJC: It's hard to tell because I've got only few occasions to test them. The only one I Tried was Mirage, and it was more than a year before. I had already heard some very good echoes from it, then ; but now that I have TVPaint Pro, I just don't care about it anymore. TVPaint: What especially do you like about TVPaint Animation? JJC: I truly like the fact that we can really feel that this software was develloped by people who are animators first, and thus, knows perfectly what kind of tools animators would need. Of course, there is still some small imperfections, but they are way lighter than all the advantages that soft brings to us. TVPaint: Do you use any tools to expand the native TVPaint Animation toolset? JJC: I frequently make my own animated brushes (another function that fasten a lot the work ) ; in the other way, I still don't know the soft enough to use the george scripts, which also seems quite handy. TVPaint: Does the ease of use of TVPaint Animation assist your work? JJC: Hell, yeah ! Although the screen looks like a plane dashboard for the beginners, once you're used to, you'd wish that every animation software were build like this. TVPaint: Are you currently working on any projects? JJC: At present, I'm looking for a job in animation, which is not easy here in Belgium, because of the lack of projects in here. My last film took me 2 years, and exhausted me a lot, physically as much as for creativity. But now things are better. 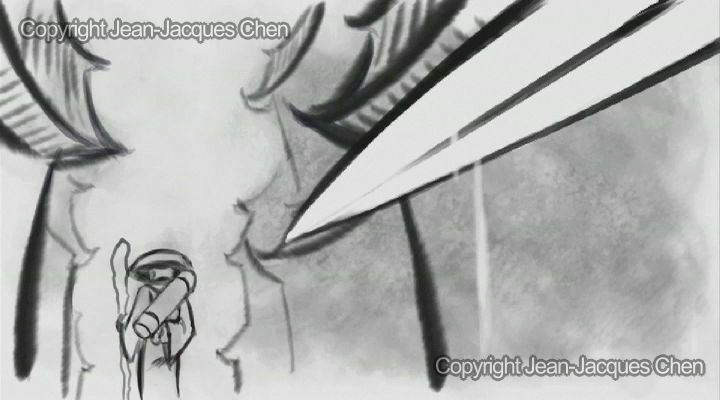 After that, I helped a friend to animate a small showreel for a parisian studio called La P-Loche, and I also animate a part of Clover's Cloe first music videoclip “Si j'étais voleuse (if I was a thief)”, who's a young Brussels singer. For now, I take my time to build my own projects, even if I won't make them immediately. I'd like to give them the time to grow up in my mind, and then I have first to work on other movies or series, so I'd know how to make a professional project, and to put new ideas on my own. In a very close future, if I still don't find any job here, I'll go to Taiwan and later maybe to Quebec to look for some work. TVPaint: Do you have any special tricks you would like to share with the community? 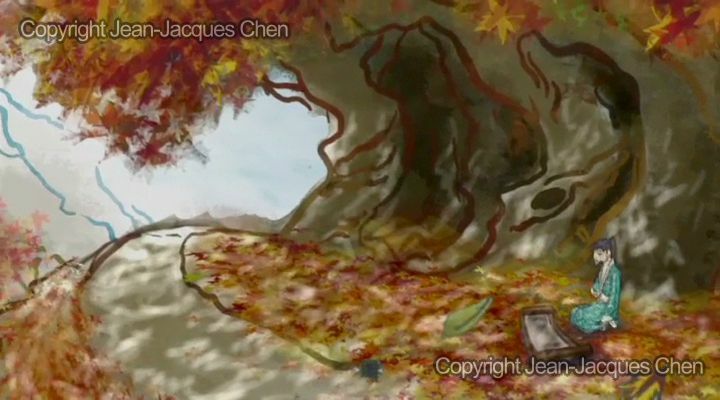 JJC: Since TVPaint offers so many tools, effects and functions, it is really tempting to explore them all, and eventually, completely get lost in it (too much freedom kills the freedom). So what kind of tip can I give? First able, if it's not done yet : read carefully the user's manual written by the good hands of Fabrice (on my side, it took me 3 days to fully read it, taking the time to practice all the exercices ), because it is really exhaustive, while being well explained and accessible. And even if you don't understand everything, just don't rush, take your time to master the functions that look like to fit you the most ; don't try to master everything at once, because let's say it clearly : you won't make it ! There is too much to learn. Only time and motivation will let you get through. Unless you've got really much space on your hard disk, try to avoid working on long projects in one file, because the other side of the coin of all the advantages of TVPaint is the consequent size of its files. Since then, all attempts of multiplane camera or autopaint or particles (3 of the heaviest effects) could grow up to more than one giga for a plan that last less than 10 seconds. Use and abuse of the custom brushes, and if needed, don't hesitate to create your own brushes. You won't find everyday a soft that allows you to create some that easily ; and quite oftenly, it provides unique results. You hooked up with a problem that wasn't noticed in the user's manual ? Go as often as you can to the forum of TVPaint. You will find an army of professionals who will answer your problem within the next 30 minutes. This forum actually looks like an after sales service, and I think that's really cool, since they will get you 6 differents answers while you just had the time to push the « post » button of your question. Well, I'm maybe overdoing it a little bit, but not that much ! But well... I guess that if you read this interview, you already knew that, right? TVPaint: What advice would you give someone wanting to create their own? In brief, you'll have to be a little bit screwball for wanting to get in animation. TVPaint: Do you have any suggestions for other users considering or just beginning with TVPaint Animation? JJC: Like I said above. I think that you'll appreciate this soft the most if you were already making animations with other methods (like photoshop-after effect, for example). As he's quite young, the poor boy is still barely naked ; but I'll dress him up in no time, Christmas is coming. JJC: Thanks to all of you for the excellent work you did (sooo... how much did we agree, for your ad...? ;-p ) !